"Jeremy Cantor's collection, Wisteria from Seed...has a strong through-current of scientific naturalism...It finds universals in the quotidian, insinuating the reader into Cantor's personal narrative, its meaning disguised in the plain dress of moment-to-moment experience..."The Full Set" and "Display Case" read to me like Faulkner, but not stream-of-consciousness so much as stream of reflection." "These verses—which recount escapes (of Boston terriers, fishing lures, and Warsaw grandparents), losses, longings, memories (like the blade of grass that becomes a harp string linking boy and girl), and events unseen yet known—turn on the experience of loving and being loved. Jeremy Cantor’s poems strike chords at once tender and unsentimental. There is truth here, and a gentle music." 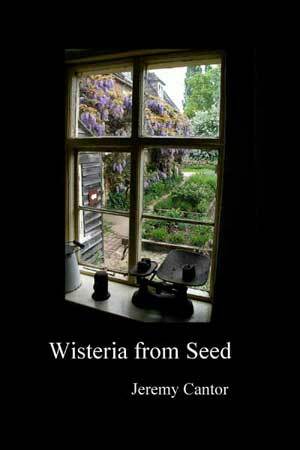 The poems in Wisteria from Seed will find roots in the reader’s soul. Jeremy Cantor is a poet who creates intricate and resonant images through the simplest of details…In this collection, each stanza of each poem is imbued with grace and shades of our deepest truths…Cantor uses his voice to guide us through the beauty of human frailty.